Situated on an OVERSIZED LOT 28.5' x 130' in prestigious WEST HILLHURST, this DETACHED home boasts over 2200 sq.ft. on upper 2 flrs with a sunny SOUTH BACK YARD. This home features large principal rooms, bright open floor plan, 9' ceilings throughout, site finished hardwood flrs, mudroom, formal living & dining rooms & huge bedrooms with vaulted ceilings. The kitchen has plenty of counter space, crisp white cabinetry, gas stove, breakfast nook & offers tons of storage space in the walk-in pantry. The main floor family room is a great place for the family to hang out together around the gas fireplace. The second floor offers a 21'x19' Master bdrm w/5pc En-suite & wall to wall closets, as well as 2 oversized kids' bedrooms w/ vaulted ceilings, a full bath along with a generous laundry room. Oversized 22'x 22' double detached garage. 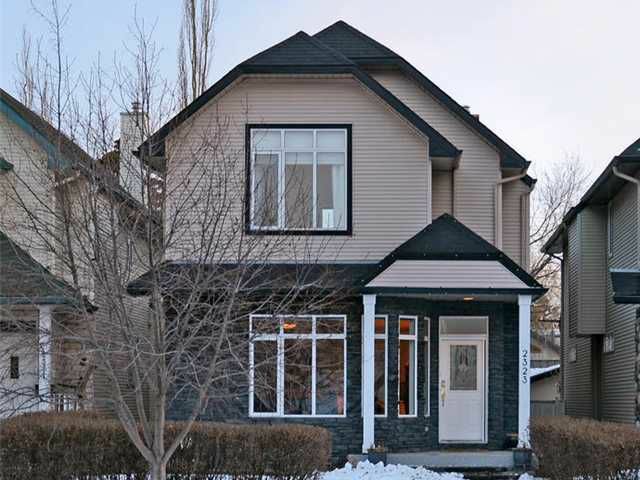 All within walking distance to the trendy shops & restaurants of Kensington, schools (K-12), UofC, Downtown & Bow River Pathway.